Posted on March 28, 2016 December 13, 2016 by Toink! The Season of Lent may be over. So is the Holy Week. Did it bring us closer to God? I hope so, we all did. With all the retreats, Visita Iglesias, Pabasa, Meditations on the Seven Last Words, Way of the Cross, pilgrimage, processions and the sacrament of penance, it’s impossible to ignore the presence of Jesus in our lives. Now we’re back to the humdrum of our usual, ordinary days. Slowly and surely, we will soon be snatched away from the serene state of being back to our toxic way of living if we let complacency rule. We wouldn’t like that to happen, do we? So we remind ourselves to pray without ceasing. Holy Week or not. It is the only way to stay in tune with Jesus, that in whatever we do, we let Him participate. In each moment, let us invoke His presence. It ain’t that hard. We just need some getting used to. What better way to do that than to practice. Think of Him when you’re stuck in traffic, or when waiting in line. Pray to Him when waiting for someone in the coffee shop, or while walking in the park. Talk to Him in your mind and with your heart while working out, or while doing the dishes. Jesus is everywhere. You may feel His presence in the church or in a grotto. But you can also feel His presence in the least likely places, if we only let Him in our hearts. Truly Holy Week lasts but for seven days. But a holy life is forever. Posted on March 27, 2016 November 12, 2016 by Toink! It’s Easter Sunday. We celebrate. We believe that Jesus lives. Though my eyes cannot see Him, my whole being knows He is here. No explanation is necessary. I just know. There were times that I thought Jesus was so far away. When I sin. When I despair. I couldn’t feel His presence. Not that He was, but because I chose to look away and ignore Him. Through it all, Jesus remains faithful. He never gives up on me. No matter how bad and stupid and stubborn I could be, He still loves me. I don’t know what He sees in me. All I know is that He didn’t had to, but He died on the Cross to save me. So too He is risen to love me. For all eternity. It is my fervent prayer that I may be worthy of His sacrifice. So that His pain and suffering shall not be in vain, I pray too that I be able to carry my own Cross for the sake of others. Glory be to God forever! Posted on March 26, 2016 November 12, 2016 by Toink! It was supposed to be on the altar in the living room facing the main door. But while we were still sorting out where to put what when we moved in a month ago, the crucifix with a rosary hanging around it was temporarily placed on our kitchen counter backed against the wall. It never made its way to the altar because it is meant to be where it is now. That crucifix is a constant reminder that Jesus is always there with us in every family meal. I was alone for breakfast this morning, but I realized that I was not really on my own. Jesus is there in front of me. Indeed, today is Good Saturday. With Jesus, it is always a good morning. It is always a good life. Posted on March 25, 2016 November 12, 2016 by Toink! The first time I watched the movie “The Passion of the Christ” a few years back, I was shocked by how the events were presented. 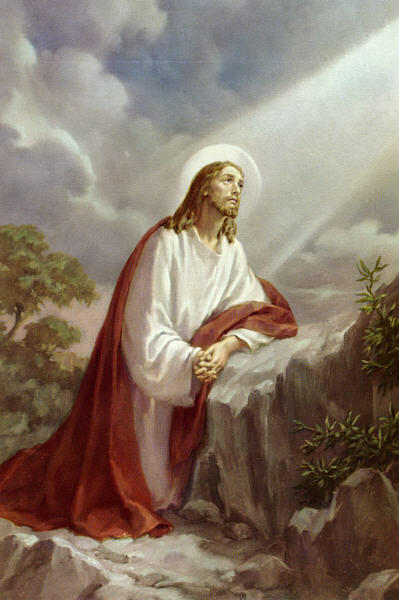 The scenes from the agony in the garden to the moment that Jesus breathed His last, were just so detailed and yes, bloody. Today I watched it again. The experience is now entirely different. It is personal and profound. I almost ‘felt’ how Jesus suffered and died. Every time the camera focused on His eyes, it was like Jesus was actually looking at me, so lovingly and forgiving. It is the same movie that I watched, but on each instance, the experience is entirely different. What changed? Life did. In between both viewing, life have been teaching me lessons that make me ‘see’ clearer. I realized that no matter how weak and flawed I am, Jesus never gives up on me. His willingness to forgive is always greater than my desire to be forgiven. Jesus proved that I am worthy to be saved, but unless I truly believe that indeed I am worthy and sin no more, He is patiently waiting for my complete turnaround. He is faithful even when I am not. Today is Good Friday. It is a day of reflection on the passion of Jesus Christ, of gratitude for His sacrifice and repentance to be worthy of His perfect love. Today I changed my site title from Angel119 to Everyday with Jesus. Because I realized life is not about me, it is all about Him. With His mercy, I shall carry my cross to remind me everyday that Jesus carried His because of me. Posted on April 9, 2015 November 12, 2016 by Toink! Today is Thursday after Easter Sunday. In the Middle East, it was a working Easter. That day being also the deadline for submission of month end reports, I struggled to keep my focus on the image of the risen Christ as I battle emails and phone calls, in between entering data to finish the tasks at hand. To top it all, my colleagues were on holiday and so my work load was multiplied like the bread to feed thousands. By end of business hours, I was really exhausted but nonetheless, the Holy Spirit helped me through the day. So it happened that we were able to attend the 7pm Easter Mass. The smell of tires being burnt on the road leading to where Sacred Heart Church was located, dominated the festive atmosphere. That did not stop the hundreds who were inside the church compound to pray and praise God. And that was my Easter of 2015. If the celebration of the resurrection of Jesus Christ is a one day affair, I would really, really feel bad that a great number of hours on that day was taken up by my earthly duties. But as I continue to “follow” Jesus after He left the tomb, my eyes were opened. Easter is our daily reminder that Jesus is alive and one day, we shall see His face when He comes again. My eyes were opened, that it is alright to fulfill our earthly duties when it glorifies God and the greater good comes out of it. My eyes were opened, that as we go about our daily lives, the Holy Spirit is ever present. Just like Jesus was, with Cleophas and his companion on their way to Emmaus. Between life and death, we choose life. Easter is the life after Jesus Christ suffered and died on the Cross. We also died from our old selves during Lent and were renewed on Easter, forgiven of our sins when we repented sincerely. So therefore, let us celebrate Easter everyday so that the sacrifice of Jesus, the sign of His infinite and eternal love will ever be worth it. Posted on March 25, 2015 by Toink! Who doesn’t love surprises? I’m sure I have had my share in the 48 years of my existence. But as I try to recall which one had the most impact, not even one comes to mind. Now that surprises me! Let me see. Well, a wedding proposal might have surprised me. I would have loved to be in the receiving end of one. But sorry for me. Because during our time, it was not necessary. Not because we were less romantic. It was just that the wedding and marriage were already being discussed over the courtship stage that it was in itself, already a proposal and a yes. And yes, a diagnosis from my OB once surprised me. But in a negative way though. So I would not want to count it in. And the proper term should be “scare” instead of surprise. If scare is the word, then I have a lot stored in my memory. So let us go back in time with Mary; when the angel Gabriel announced to her that she was going to be the mother of God, and she will call Him, Jesus. Now that was a big surprise to her. Imagine, in her simplicity and meekness, she found favor with God. Imagine her wonderment. Imagine a life-changing surprise in all her innocence. But what differs us now, with Mary then when she received God’s word? Mary was young and inexperienced, while we are older and “matured”, so to speak, and have years of religious instruction in school and the church. Yet when she got the greatest announcement of her life, she trusted God wholeheartedly and believed in His grand plan for her absolutely. She humbly went on with her daily life, even with the knowledge that she was (and still is) most special. How about us? How do we accept the big surprises that come our way? It may be an unexpected promotion, a huge bonus, a love life that’s long overdue, healing for our ailments, maybe even winning the lottery. Do we receive them with humble and grateful acceptance? Or do we get drunk with self-entitlement that we fail to see the hand of God in all the merriment? And do we even remember to thank Him? Like Mary, the greatest announcement we could ever receive in our lives is Jesus. Let us be innocent like Mary. Ever trusting. Ever thankful. Because whenever we least expect it, Jesus will continually surprise us with His everlasting love. And it would be pleasing to Him if we respond exactly like His Mother. Posted on March 15, 2015 November 12, 2016 by Toink! On February 27 of this year, our Christian Life Seminar was finally over. The “travelling angels” from Riyadh in Saudi Arabia and from San Diego in California, USA noted that it was the longest CLS in the history of CFC-FFL. Tito Cris and his wife, Tita Poochie began with the first talk in March 2014. They went home to the Philippines in summer. Thereafter, they encountered difficulties in securing visas to enter Bahrain. So that it was only in early November that we were able to meet again. In February of this year, we were introduced to Tito Froy who was temporarily assigned to Bahrain. And before our dedication, came his wife, Tita Belle. During the Feb Fridays that we gather in Jesus’ name, Guadalupe, a two month old baby girl, together her parents Bro Seneth and Sis Joy, joined our family, Bhoy, Megan, Miguel, and Mac in our praise and thanksgiving to God. And so our CFC-FFL family was complete, just as the CLS was completed. That was the chronology of the CLS events as I recalled- one year summed up in one paragraph. Yet the substance of each single moment that we have shared together in the love of God is so profound that it will take a lifetime for me to share. It is pure joy to know God and love God. It is divine to share His love. As the purpose of the CLS is evangelisation and spiritual renewal, it is now our life’s purpose to fulfill the will of God. We will be forever grateful to our “travelling angels”, Tito Cris, Tita Poochie, Tito Froy and Tita Belle, for their valuable time, perseverance and effort to enable us know God and love God better. May the Lord continue to shower his blessings upon them. Our CLS may have come to an end, but the journey continues. We, who are called, together with Bro Seneth and Sis Joy, have a lot to do. May we not be weakened by the world’s distractions. But rather, call upon the Holy Spirit day by day for the constant renewal of our faith, while we carry our own crosses together with our Savior, Jesus Christ, on the path towards the eternal kingdom of God. Posted on February 17, 2015 March 4, 2015 by Toink! 44 is the number of PNP SAF troopers who perished in Mamasapano in Maguinadanao, Philippines. 21 is the number of Egyptian Coptic Christians who were beheaded in Libya. 11 killed in the Charlie Hebdo headquarters in France. I can mention a number, and probably there is a match to a group of human beings who died in some way that could have changed the way we think or live. It is shocking to know how collectively a group of people could be wiped off from the face of the earth, and sad that what a majority could only remember is their number. These people have names. They have families. Loved ones. They had dreams. They had lives. Until somebody else decided otherwise. And now their souls cry out with their own stories to tell. We did not know them when they were alive, but now we know them because they are dead. Some died because of freedom of expression, others for love of country. And lately, for love of God. The thought of them left me to wonder. How long can I stand up for what I believe in? How much can I sacrifice for those I love? How far can I go amidst the raging waves of my own personal struggles? We have only 1 God. 3 is the number of Persons in the Holy Trinity. 3 is the number of words that a martyr last uttered before he was beheaded- “Jesus help me”. That sums up the answer to my questions. We can withstand any suffering, endure all pain and weather any storm. Because our Father loves us, Jesus saves us and the Holy Spirit helps us. May we, who are left to ponder on the countless lives lost for whatever reason, learn that the manifestation of our selflessness is the true essence of our humanity. Please offer prayers for the souls of our brothers and sisters who died because war, violence and terrorism. May their souls rest in peace. Posted on January 25, 2015 March 8, 2015 by Toink! It was a typical day.The sun was just up rising above the mountain range that stand guard to our little barrio, Balian where there was a time during my childhood when everyone knows everybody. All of a sudden, a man in a white robe and skull cap breezed into the sala from nowhere. Of course we knew he was coming. But to literally enter our home was a heavenly experience. Time stood still for a moment as we stood there staring at him in awe, as we share the same space and breathe the same air. We were Pope-strucked! As I came back slowly to my senses, which seemed like ages, I inched toward him, bowed down, took his hand and kissed it in the traditional way that we, Filipinos, do the “Mano po” to pay our respect. His hand seemed huge. And I said to myself, this is the big hand of a generous man who has likewise a big heart. It was quick. The next moment, I saw him sneaking out through our back door. Then everything was vague after that. But every moment with him was vivid. Then I woke up. It was the day before his arrival in Manila. And I was 7,367 km away here in Bahrain. And I was dreaming! The following days, much has already been said and done of the papal visit. 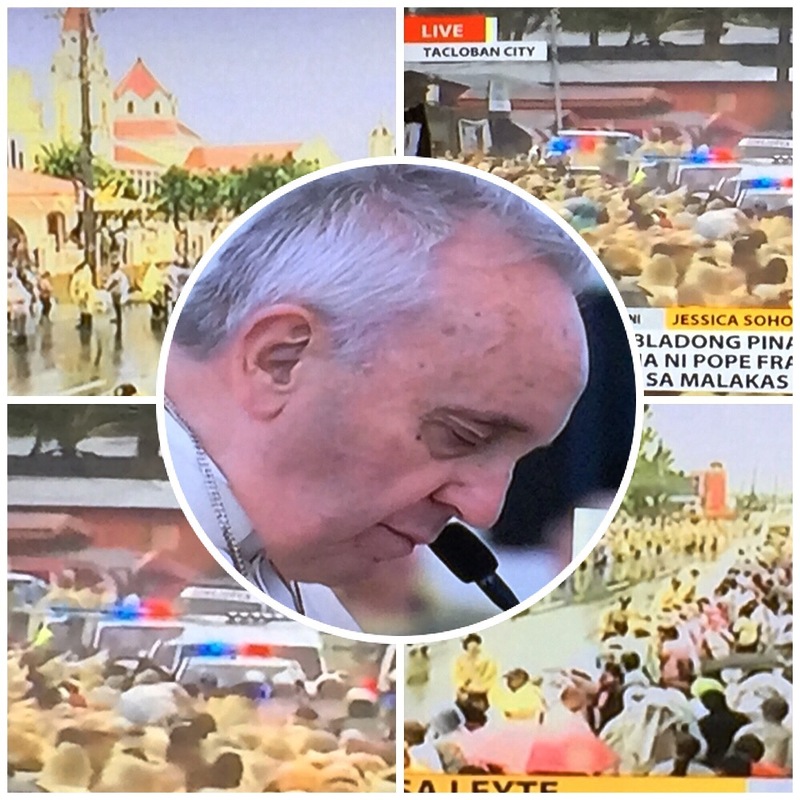 as I watched the entire Filipino nation welcome Pope Francis wherever he went; as TV cameras focused on each and every face that radiated the joy Pope Francis shared; as I saw my fellowmen wiping their tears at the mere sight of him as I tried so hard to hold back my own- I couldn’t help but remember the dream that I had and how the Pope made me feel. So I empathized. And I understood. I was overwhelmed. I have to write and share. For five very special days, for Filipinos everywhere in the world, it felt like heaven was within reach. Pope Francis rekindled our faith in God, in Jesus who he represents on earth, in the Spirit dwelling amongst us. Pope Francis awakened the innate generosity of our humanity as Filipinos that has long been put to sleep because of social injustice brought about by corruption and greed disguised as government. Pope Francis reaffirmed the sacredness of family and its importance in spreading the Word of God. He reminded us that in order to follow Christ, we should follow His example. Be a beggar. Be a child. Think well. Feel well. Do well. Be quiet. Cry. Dream. Love. These were notable reminders from the Pope that we will cherish in our hearts and minds long after his departure. But the real essence of our encounter with the Pope is Jesus. In our generation of materialism when our daily goal had become to make more money, he reminds us that there is something more important in life. That despite how the world has gotten ahead of itself in terms of technology, humankind in fact is getting poorer in terms of the quality of lives of the majority of its population. It is therefore imperative for us to look back into that five days (six days for me) when Filipinos were elevated to holiness because we came face to face with who we really are and what we should always be. And we are a merciful and compassionate people filled with God’s love. Let not the absence of Pope Francis in our midst once again diminish us to self-centered, self-righteous and self-sufficient people that we are not. God created us in His image and likeness. Let us live up to it. Let us continue to pray for Pope Francis with grateful hearts. Let us pray for each other as we live not for ourselves alone. We need one another. So let us tell the world of His love. Like Pope Francis joyfully does.